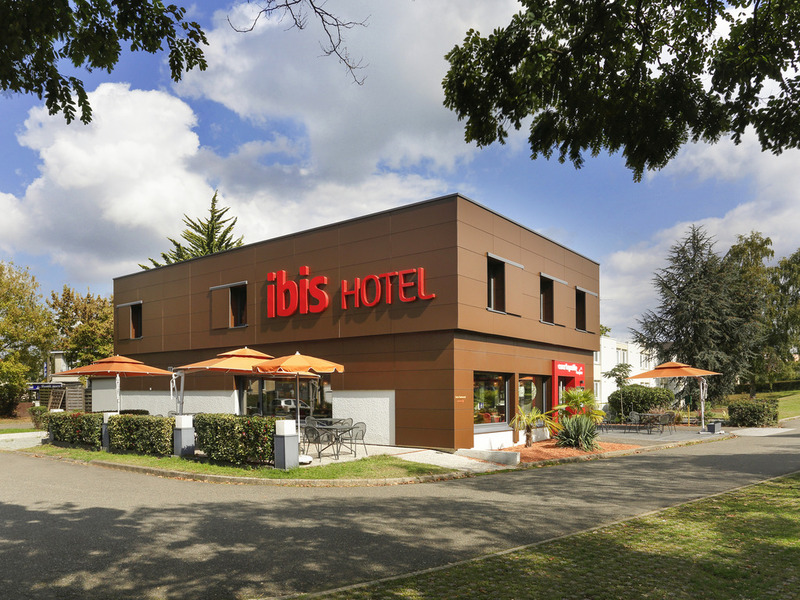 The entire team at the ibis Le Mans Est Pontlieue hotel wishes you a warm welcome to Le Mans, home to the legendary 24-hour race and delicious gastronomy. With a large, free, secure car park, the hotel is located in a lush green setting close to the city center, TGV train station, Le Mans 24-hour circuit, exhibition center, MMArena (Le Mans stadium) and the Antarès events venue. It is accessible by tram (Du rand-Vaillant), bus (Cugnot) or highway (exit 8 on the A11 or exit 23 on the A28). The hotel has 59 air-conditioned rooms, a Courtepaille Comptoir restaurant, on-site bar, free WIFI and meeting room measuring 388 sq. ft. (36 m²). Pets welcome. Hotel set against a green backdrop, close to the exhibition center, the 24-hour racetrack and the Antarès arena (5 minutes). 8 minutes from Epau Abbey and the "Arche de la Nature" park (450 ha). Sample a wide selection of grilled meats, as well as fish and salads!